Atlanta evenings are wonderfully colorful with lots of blues, reds, and yellows. 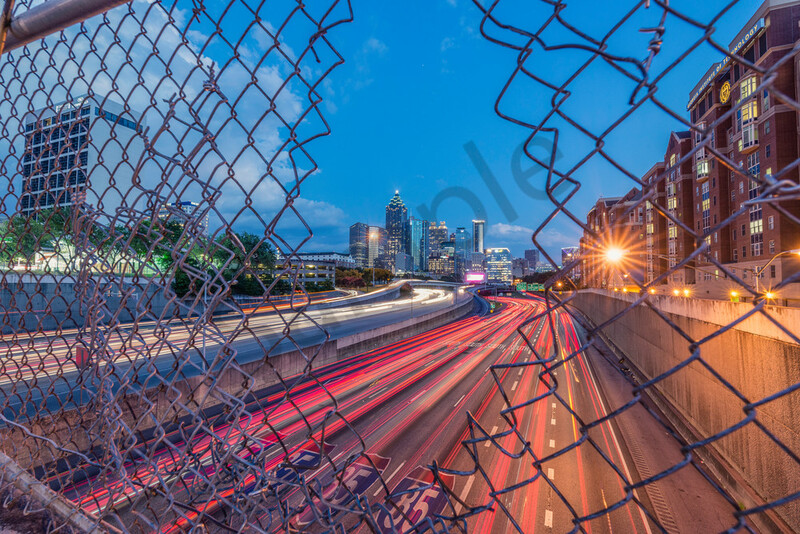 This shot depicts the 85 South connector as it winds its way through the city. Another view of the 85 from North Avenue - this time I offer a glimpse of the fence and the hole through which I got an unobstructed shot in my other photo, North Avenue View.